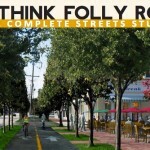 The purpose of the study was to identify the opportunities and explore the potential to transform the Folly Road corridor into a more sustainable, multi-modal corridor, which could serve as a precedent for the Charleston Region. This study document includes a detailed analysis of the corridor, and 75 specific recommendations compiled in three implementation matrix tables identifying project descriptions, timetables, responsible parties, estimated costs, and potential funding sources. I have uploaded an executive summary of the document, and the entire document and appendix can be found at this LINK. BCDCOG provided project management, however the primary stakeholder is the thousands of citizens of the Charleston Region who live, work, play and travel the Folly Road Corridor. 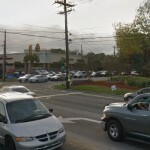 The local governmental stakeholders include Charleston County, the City of Charleston, the Town of James Island, and the City of Folly Beach, each of which has entered in to a inter-jurisdictional Memorandum of Understanding that pledges support for implementation of the recommendations of the detailed and comprehensive “Complete Streets” plan. 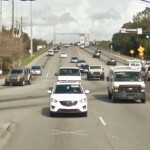 The MOU and Plan are being taken to the Charleston Area Transportation Study (CHATS) Policy Committee and BCDCOG Board of Directors for final approval in April, 2015. Once approved, the fully-executed MOU will be inserted into the final plan, and the document will be published in it’s final form. Implementation of the plan will take place over the long term, and includes 27 recommendations under the heading of “Governance, Policy, Process and Marketing”, 34 recommendations under the heading of “Corridor-wide Physical Improvements”, and 14 recommendations under the heading of “Specific Areas: Physical Improvements”. This project has already represents a milestone for the region in terms of inter-jurisdictional cooperation, with each of the four local stakeholder governments – Charleston County, City of Charleston, Town of James Island and City of Folly Beach approving and signing on to the MOU, and by reference supporting the recommendations of the plan. 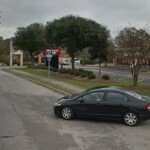 The Folly Road right-of-way is maintained by SCDOT. As a major stakeholder, the department was consulted, attended meetings, and provided input and positive support throughout the process. Public input gathered through an extensive public outreach effort provides the foundation for the document, and the expertise of a six-member professional consulting team provided guidance regarding the detailed analyses and recommendations. Many more collaborations will be required as the plan moves in to the implementation phase.